I am nearing the end of an amazing month of fun, health care and YES business. It started as I headed East toward the airport on June 19th where I spent a night and relaxing day at the Sunset Motel before flying out of Uganda on the evening of the 20th. After 21 hours in the air and 8 hours in airports with connecting flights I arrived in Syracuse, NY and was picked up by a dear friend who I have not seen in over 37 years! We traveled to my hometown of Skaneateles where I graduated from high school in 1962. It was very good being driven around and seeing areas from my childhood and even better reconnecting with so many people from those years. I was able to spend the day with my brother Henry and his wife Marlene who is a sister to me without the “in law” word attached. Another older couple who used to work in Uganda near my place also drove a long way to come and meet me and I got to ride a horse with an old student from the 60s, who is now a friend. Riding that horse brought back many memories but unfortunately my back issues did not allow me to go much more than at a walk. The Skaneateles short stay finished with a dinner with many of my classmates of 1962 and after a presentation of my work in Uganda. It was such fun trying to place the faces but it all came back and they gave me a very warm reception. The next phase took me South to West Port, Florida where my dear friends Sheila and Micah Smith have been hosting me along with their 5 great kids. 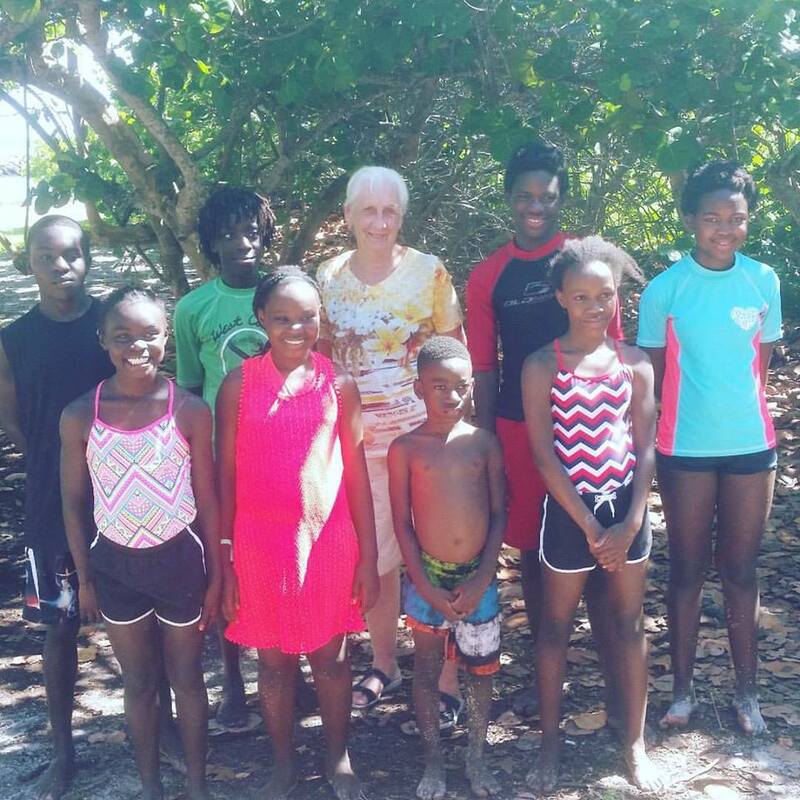 On July 3rd we went to the beach and had a reunion with 9 of the kids adopted from my program along with the adoptive parents. I can not even begin to express my joy of seeing how well and happy these kids all are. It is so so sad that Uganda is closing doors to adoption because of the corrupt actions of some people who used adoption for gaining money and took kids who had families in Uganda who could have raised them. I came to the states also seeking medical attention for my chronic back issues. It started with an appointment at a spine clinic which proved discouraging because I could not receive much care unless I was prepared to spend many months away. God was good though because with Sheila’s help I was set up with health consultants and doctors who have been so very helpful and kind and have pushed many tests through that normally would have taken a long visit. I had an MRI and full medical check up along with an appointment with an ear doctor who has my hearing aid now upgraded to fit my hearing loss. My final appointment was for injections into my spine for pain control and I am now without the terrible back pain that I have lived with for many years. The down side is that injection is not a permanent fix but could last for some time. I just thank God for all the miracles of these few weeks. I also am so grateful to Sheila who has driven me all over the place to one appointment after another and then treated me to some fantastic lunches out. Lastly this trip has been full of fun and laughs and rest. I sleep as long as I want and read novels and just let go of concerns of my program for a while. I had an absolute blast at a water park and managed to ride all the different slides (the last one was a bit too much and I wouldn’t try it again but I am glad I did it and the others were just plain wild and fun), and I got to ride a boat through the everglades. My time with the Smith family has been incredible. Some people ask if living with 5 kids was a bit too much. Not at all!!!!!! The kids are exuberant and sometimes a bit noisy but it is happy noise and they are just full of fun of love and joy and so sweet and polite. 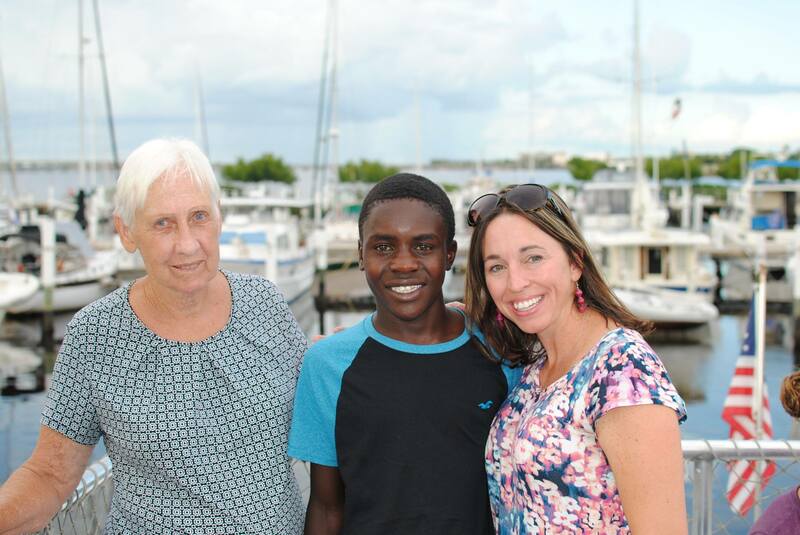 To all of my sponsors of kids back in Uganda and donors in general I want to assure you that things are being well managed by my faithful staff who have been working many extra hours making sure that there are no problems or concerns not being cared for. I also have been in contact frequently and had a Skype meeting here in the US with my board for the US 501c that collects funds. They also give me a lot of support and confidence about the continuity of YES beyond my years. This is a rather long blog but I am just feeling so grateful for so much that I feel I still have left a lot out. I am really looking forward to getting back home. I love the US and so many people here but I also love Uganda where my heart and family are.